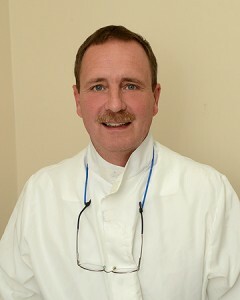 When you’re looking for a dentist in the Pocono, Stroudsburg area, please look to Dr. Tom Harleman, Harleman Dentistry. He is a graduate of the University of Pittsburgh, School of Dental Medicine (DMD 1985). And the University of Pennsylvania (1981). His commitment to education is ongoing and is reflected in his quality of care. Harleman Dentistry is located in the heart of the Pocono region near Stroudsburg and is easy to access from Business Route 209, Route 33 or Route 115. Dr. Tom offers a many services from basic fillings to restoration of implants. He performs all aspects of dental treatment. These include extractions, implants, bridges and periodontal cleanings. They like to keep their customers up-to-date on proper dental care. Brushing your teeth is a common and basic practice that should be done regularly and is often overlooked. They do not accept insurance but are willing to take the necessary steps to assist you in reimbursement from your insurance company. This results in more flexibility in your treatment options. They are then able to give you the treatment you want and deserve rather than as dictated by the insurance company. Dr. Harleman would like to express his gratitude for the patients and dental family who have made this office possible. Because their patient’s trust, dedicated staff, and professional expertise are what defines their practice. Harleman Dentistry is now taking new patients from Stroudsburg and the surrounding areas. They offer evening hours and other variable hours so that the customers have ample opportunity to come into the office. They accept most credit cards. Your search for a Pocono Dentist and the surrounding areas will get you great results at Harleman Dentistry. They look forward to having you join the family. Keep on Smiling!!!! When you’re looking for a dentist in the Pocono area, please look to Dr. Tom Harleman, Harleman Dentistry. He is a graduate of the University of Pittsburgh, School of Dental Medicine (DMD 1985). And the University of Pennsylvania (1981). His commitment to education is ongoing and is reflected in his quality of care. Harleman Dentistry is located in the heart of the Pocono region in Brodheadsville and is easy to access from Business Route 209, Route 33 or Route 115. Dr. Tom would like to express his gratitude for the patients and dental family who have made this office possible. Because their patient’s trust, dedicated staff, and professional expertise are what defines their practice. Harleman Dentistry is now taking new patients. They offer evening hours and other variable hours so that the customers have ample opportunity to come into the office. They accept most credit cards. Your search for a Pocono Dentist and the surrounding areas will get you great results at Harleman Dentistry. They look forward to having you join the family. Keep on Smiling!!!! When you’re looking for a dentist near me in Lehighton and surrounding areas, please look to Dr. Tom Harleman, Harleman Dentistry. He is a graduate of the University of Pittsburgh, School of Dental Medicine (DMD 1985). And the University of Pennsylvania (1981). His commitment to education is ongoing and is reflected in his quality of care. We perform all aspects of dental treatment including extractions, implants, bridges and periodontal cleanings. We like to keep our customers up-to-date on proper dental care. Brushing your teeth is a common and basic practice that should be done regularly and is often overlooked. We do not accept insurance but are willing to take the necessary steps to assist you in reimbursement from your insurance company. This allows us more flexibility in your treatment options. We are then able to give you the treatment you want and deserve rather than as dictated by the insurance company. Harleman Dentistry is now taking new patients. We offer evening hours and other variable hours so that our customers have ample opportunity to come into the office. We accept most credit cards. Your search for a Local Dentist Lehighton, and the surrounding areas will get you great results at Harleman Dentistry. We look forward to having you join our family. Keep on Smiling!!!! When you’re looking for a local dentist in Lehighton and surrounding areas, please look to Dr. Tom Harleman, Harleman Dentistry. He is a graduate of the University of Pittsburgh, School of Dental Medicine (DMD 1985) and the University of Pennsylvania (1981). His commitment to education is ongoing and is reflected in his quality of care. Harleman Dentistry is now taking new patients. We offer evening hours and other variable hours so that our customers have ample opportunity to come into the office. We accept most credit cards. Your search for a Local Dentist Lehighton and the surrounding areas will get you great results at Harleman Dentistry. We look forward to having you join our family. Keep on Smiling! When your looking for a family dentist in Stroudsburg, and surrounding areas, please look to Dr. Tom Harleman, Harleman Dentistry. He is a graduate of the University of Pittsburgh, School of Dental Medicine (DMD 1985) and the University of Pennsylvania (1981). His commitment to education is ongoing, and is reflected in his quality of care. We do not accept insurance but are willing to take the necessary steps to assist you in reimbursement from your insurance company. This allows us more flexibility in your treatment options and gives you the treatment you want rather than as dictated by the insurance company. Dr. Tom would like to express his gratitude for the patients and dental family whom have made this office possible. Our patients trust, dedicated staff and professional expertise is what defines our practice. Harleman Dentistry is now taking new patients. We offer evening hours and other variable hours so that our customers have ample opportunity to come into the office. We accept most credit cards. Your search for a Family Dentist Stroudsburg, and the surrounding areas will get you great results at Harleman Dentistry. We look forward to having you join our family. Keep on Smiling!!!! When your looking for a family dentist in Sciota, and surrounding areas, please look to Dr. Tom Harleman, Harleman Dentistry. He is a graduate of the University of Pittsburgh, School of Dental Medicine (DMD 1985) and the University of Pennsylvania (1981). His commitment to education is ongoing, and is reflected in his quality of care. Harleman Dentistry is now taking new patients. We offer evening hours and other variable hours so that our customers have ample opportunity to come into the office. We accept most credit cards. Your search for a Family Dentist Sciota will get you great results at Harleman Dentistry. We look forward to having you join our family. Keep on Smiling!!!! When your looking for a family dentist in Albrightsville, and surrounding areas, please look to Dr. Tom Harleman, Harleman Dentistry. He is a graduate of the University of Pittsburgh, School of Dental Medicine (DMD 1985) and the University of Pennsylvania (1981). His commitment to education is ongoing, and is reflected in his quality of care. Harleman Dentistry is now taking new patients. We offer evening hours and other variable hours so that our customers have ample opportunity to come into the office. We accept most credit cards. Your search for a Family Dentist Albrightsville will get you great results at Harleman Dentistry. We look forward to having you join our family. Keep on Smiling!!!! When your looking for a dentist near me, and surrounding areas, please look to Dr. Tom Harleman, Harleman Dentistry. He is a graduate of the University of Pittsburgh, School of Dental Medicine (DMD 1985) and the University of Pennsylvania (1981). His commitment to education is ongoing, and is reflected in his quality of care. Harleman Dentistry is now taking new patients. We offer evening hours and other variable hours so that our customers have ample opportunity to come into the office. We accept most credit cards. We look forward to having you join our family. Keep on Smiling!!! !